There have been days I fantasise myself eating cheese ramen in Japan. That fantasy will become a reality one day, for now the search goes in London. 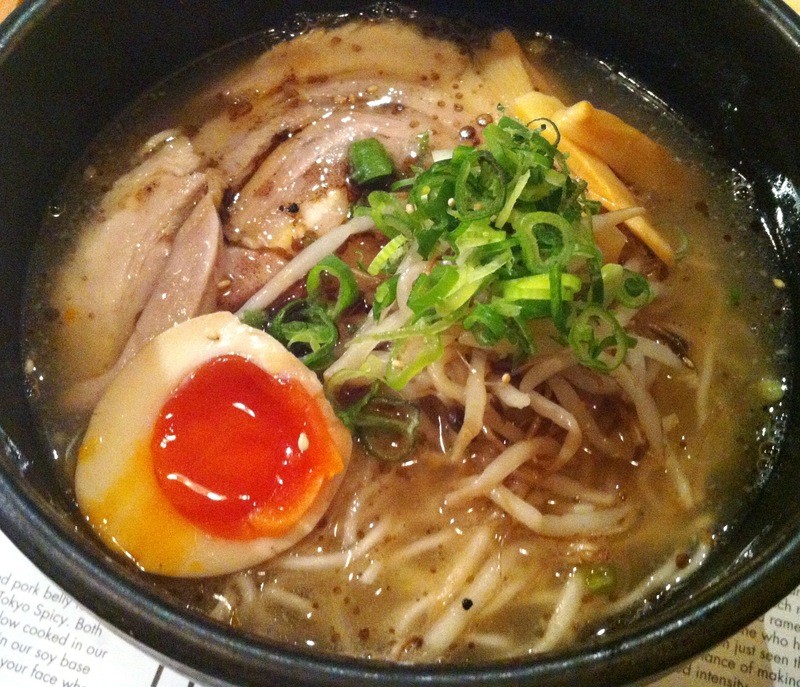 Tonkotsu opened its doors around spring this year. I finally went one night after being put off by the queues of Cay Tre. From the shop window you can see the chefs at working making the ramen bowels. The group of us sat upstairs and was presented the menu. Disappointedly there are only 3 options on offer. I went for Tonkotsu, a rich, sea salt-based pork stock and thin noodles topped with slices of melt-in-the-mouth pork belly, half a seasoned soft-boiled egg, menma, bean sprouts and spring onions. The pork belly was truly amazing, so delicious and the seasoned boiled egg was the best part. I also recommend ordering the freshly made gyoza equally delicious.